100% Natural Whey Protein Concentrate. Protein concentrate in powder (77% protein), food intended to meet the expenditure of intense muscular effort, especially for sports people. High quality pure concentrate of whey proteins (WPC). Protein contributes to the growth or maintenance of muscle mass. The product is intended for those with increased protein demand, who strive for development of muscular mass, especially physically active people and high-performance athletes. Recommended use: Take 1-3 portions a day – upon awakening, between meals, after training or before sleep. Add 1 portion (35 g = 1 scoop) to 150 ml1 of water. Consume directly after preparation. Keep out of reach of children. A varied and balanced diet and a healthy lifestyle are recommended. 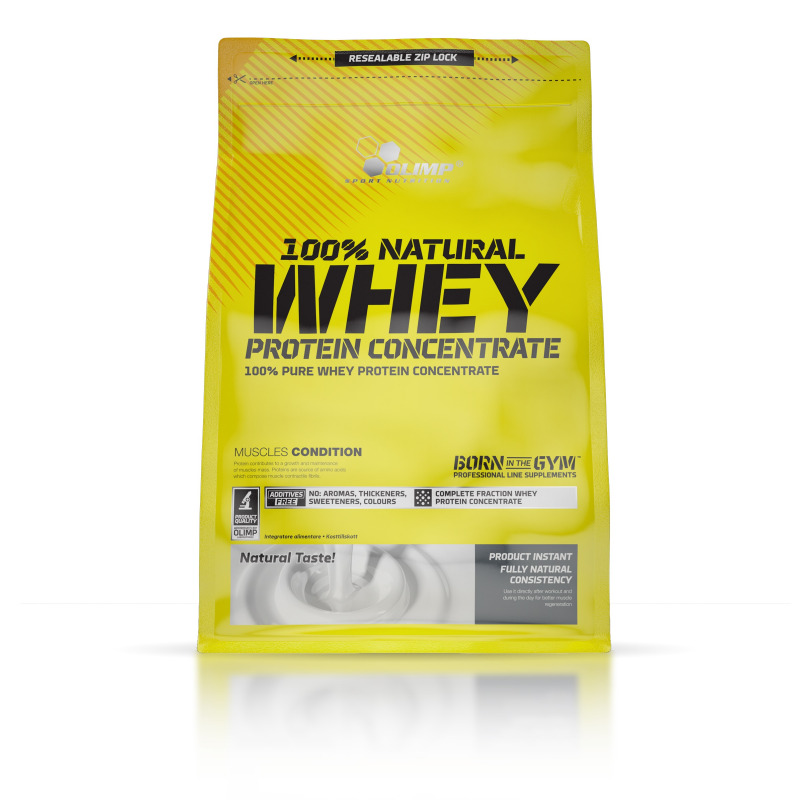 Ingredients: 100% whey protein concentrate (from milk), soy lecithin.